Climate change is expected to have a dramatic impact on ecosystems across the world, creating winners and losers: Some species are likely to survive in a warming climate, and some simply won’t. 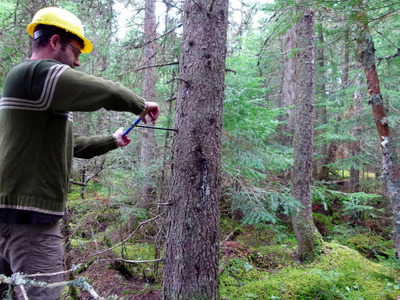 A new study in Science examined more than 26,000 trees across an area the size of Spain (583,000 square kilometers) and found that boreal forests in far-northern latitudes may one day act as a climate refuge for black spruce, the foundational tree of the northwoods ecosystem and the most dominant species in these forests. “During this century, the northwoods will experience some of the Earth’s largest increases in temperature,” Loïc D’Orangeville, lead author and postdoctoral researcher at Université du Québec à Montréal and Indiana University, said in a press release. His study looked at data from tree ring analyses that revealed that these forests’ are sensitive to changes in both temperature and precipitation. A warming climate increases the amount of water boreal forests need to survive and, according to D’Orangeville, it is possible that only part of North America’s boreal forest will have enough water to compensate for the increase in water demand. However, moving northwards, temperatures cool and evaporation diminishes. From their results, it looks like the 49th parallel (49 degrees north in latitude) will roughly delineate between the winners and the losers. Above the line, black spruce are going to benefit from the warming. Below, they won’t. Mario St-GermainA scientist collects tree-ring data. Of course, predicting the future exactly is impossible, Pederson cautions. 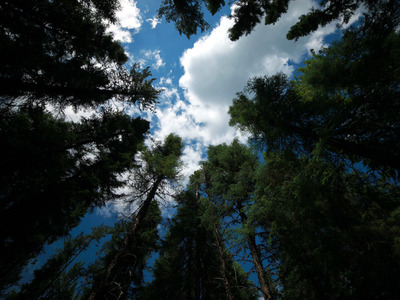 Some forests below the 49th parallel might be more resilient than expected and above the line, forests could be hit by unpredictable disasters, or “black swans” as he calls them, that could change their fate. The megafires of western Canada and Alaska this past year are examples of such unpredictable and potentially catastrophic events. Still, the study offers a note of hope, as identifying potential havens for biodiversity is important for planning for the economic and ecological future. Now, the next step for the research is to look at other species in these forests to see if their findings hold up.